Self Myofascial Release is a fancy term which was once exclusive to the world of elite athletes and physicians. Today, it is one of the most accessible and cost-effective treatments out there. Also known as foam rolling, Self Myofascial Release is a form of self-healing that athletes of any type, age, or disciple can benefit from. The tool is most commonly recognized for its ability to relieve muscle tension and various pain points. By applying gentle pressure, the foam roller helps to recover tired bodies and restore the muscles to normal elasticity. Many athletes and active individuals will have trigger points or knots that form in the muscles. This can cause a great deal of pain and can keep you from running further, working out harder, or even exercising at all. Luckily, a foam roller allows you to take control of your own recovery. Applying pressure to precise locations throughout the body, you can work through those hard to reach spots and work to relieve the pain at its source. However, the source of relief is, ironically, found through a little bit of pain. Being a self-massage technique, though, you are in the proverbial driver’s seat. While the foam roller can produce some discomfort, the user has complete control over the entire process, empowering him/her to listen to his/her body, and do what feels right on a customized basis. The foam roller may be used after a draining exercise to aid in muscle recovery. It has also been proven to be an effective tool prior to working out. In fact, researchers have recently discovered that foam rolling prior to a workout can help to increase mobility, without any impact on performance. The foam roller is intended to provide relief to the soft tissues and is commonly used on the quadriceps, outer thighs, calves, hamstrings, shoulders, as well as the upper back. If you’re new to the technique, you may want to reach for a softer foam roller as it creates a lot less pressure than a firm foam roller typically will. Thanks to modern technology, the foam roller is becoming even more sophisticated and effective. And for fitness recovery company, BLACKROLL, sold in the United States through Active Life Solutions, it’s all about making the journey to recovery as accessible as possible. BLACKROLL has recently launched free smartphone app, the BLACKROLL APP® to do just that. Here, you will find versatile exercises not only for self-massage and recovery but also for functional training. Want to improve your balance, engage your core and become stronger than ever? By incorporating the foam roller into your workouts, you can learn to challenge your body and go further than you thought you could ever go. Using the app, you may easily identify the pain points and muscle groups you wish to engage and find a wealth of exercises to reach your goals. Developments in technology continue to introduce bigger and better solutions for athletes in a variety of disciplines. These developments, however, aren’t always so easy to get to. This is where Active Life Solutions comes in. Bringing together the best fitness products from across the world, Active Life Solutions provides an online platform and resource, where these life-changing products can easily be found. 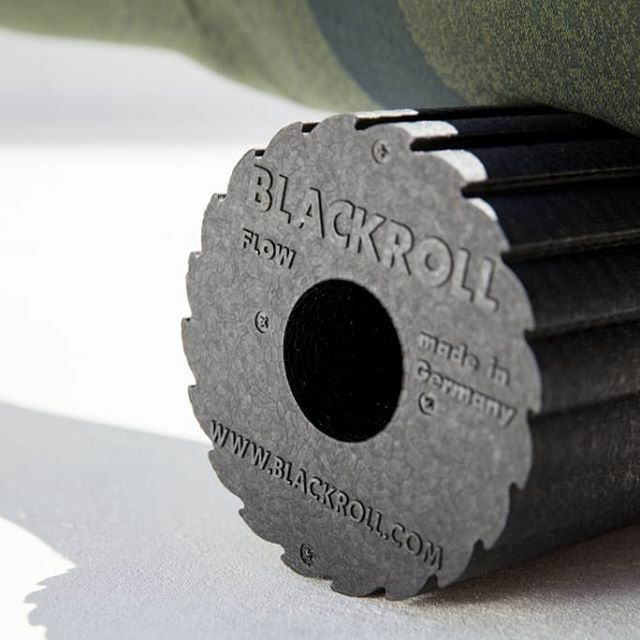 Each product, including those made by BLACKROLL, have been hand-selected and tested by a team of health and medical experts to ensure quality and efficiency. For each of us, going that extra mile can keep us moving better in the long run. So, the next time you see that mysterious cylinder sitting around the gym, you’ll know what to do. And you’ll certainly want to give it a try!